“I entrust to your prayer people such as Vincent Lambert in France, little Alfie Evans in England, and others in different countries who live, sometimes for a long period, in a state of grave illness, medically assisted for their basic needs,” Pope Francis said during Sunday’s Angelus. Tom Evans and Kate James, from Liverpool, have been at the centre of a high-profile battle to keep alive their 22-month-old son, who has a rare degenerative neurological condition. Alfie Evans has been living in a coma for well over a year after being struck down with a mystery illness. The 23-month-old was born perfectly healthy but in his first seven months missed numerous developmental milestones, his family said. 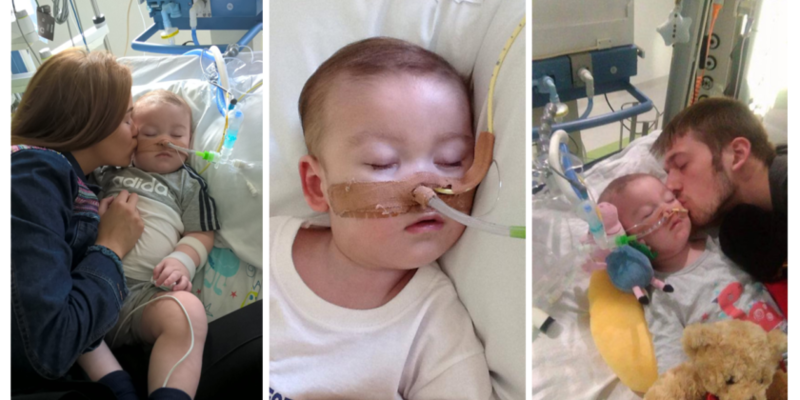 Last week a High Court judge set a date for Alfie’s life support to be switched off, against his parents’ wishes, after medics said his condition would not improve. His parents want him to be moved to a hospital in Rome or Germany to continue treatment. Alfie’s parents, who are from Liverpool, have already lost fights in the high court, court of appeal, supreme court and European court of human rights. But on Friday appeal court officials confirmed to the Guardian that another hearing had been listed for Monday. A video posted to Facebook on Thursday showed an emotional Mr Evans by his son’s hospital bed, holding a letter which he says states he has the right to leave with his child. He said police and hospital staff were stopping him from taking away his son. “I have documentation that says I have the right to take my son out of the hospital,” he said in the clip, while holding a leaded headed “Christian Legal Centre”.